An individualized rehabilitation program can help your dog or cat recover from orthopedic surgery, heal from an injury, deal with osteoarthritis, regain decreasing performance during competition, or help address mobility issues associated with aging. 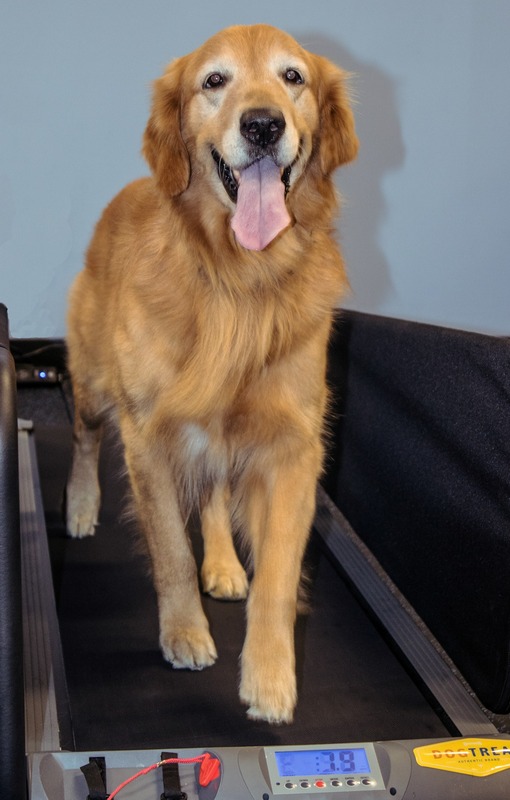 A multimodal approach to rehabilitation combines different therapeutic exercises, modalities or treatments, and medication in order to improve your pet’s quality of life. Specific goals include relieving pain and improving your pet’s comfort in performing the daily activities they enjoy. Depending on what each patient requires, the rehabilitation session will be structured and modified on a case-by-case basis. Every pet will have a different experience during the rehabilitation process. Depending on the condition(s) being treated and the desired effect, the number of rehabilitation sessions will vary. 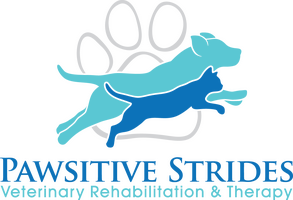 Your dog or cat will be reevaluated at each session and progress will be closely monitored. When rehabilitation sessions, pain management, and a home exercise program are combined into a comprehensive program, your pet will not only regain function and strength in the affected area(s), but will be more comfortable and more able to fully enjoy life. Laser therapy has benefits for a wide variety of patients, including alleviation of pain and inflammation, reduction of swelling, stimulation of nerve regeneration, and tissue repair. These are all essential in improving the overall outcome of the rehabilitation process. The treatments are safe, painless, and fast. Animal chiropractics offers our canine and feline patients a gentle way to encourage their own bodies’ healing mechanisms by using specific manual therapy or chiropractic adjustments. An adjustment involves a controlled, high velocity thrust over a specific joint, most commonly involving the joints between the vertebrae. Animal chiropractics is often indicated for back and neck pain, but it is also useful for animals with abnormal gaits caused by limb injury or arthritic pain. Acupuncture is a relatively pain-free process that is very relaxing for many patients. It can be used in conjunction with Western medicine for an integrative approach. Acupuncture can be very useful in increasing local blood flow, improving tissue healing, and helping to relieve pain. NMES uses electrical impulses to stimulate nerves at a low level, blocking pain and (at a different level) targeting muscle. It reawakens muscles that have become atrophied by disuse, relaxes muscle spasms, and increases both range of motion and blood circulation in the affected areas. Therapeutic exercises improve core strength, balance, flexibility, and muscle strength. 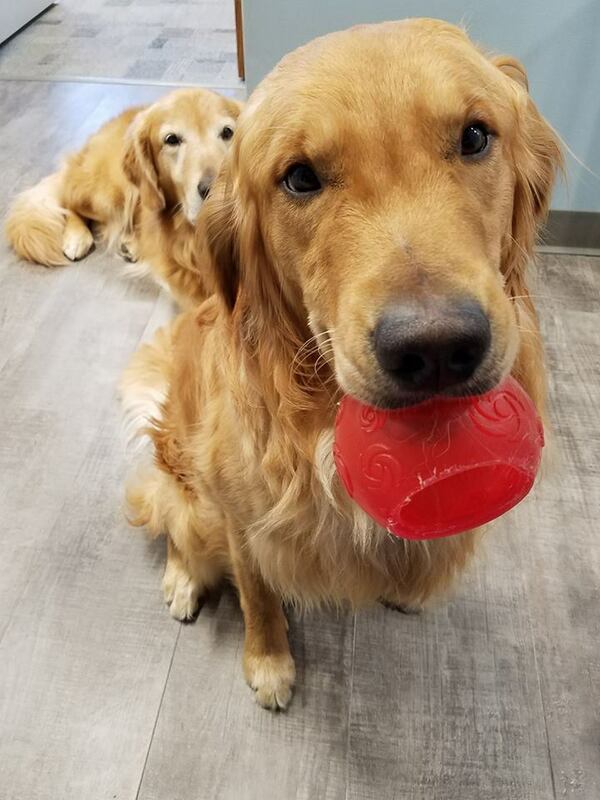 This part of the rehabilitation process employs exercise balls and discs, balance boards, cavaletti rails, and various other techniques to target specific areas and help your dog make the most progress. At several points in the rehabilitation process, a series of home exercises will be assigned. These will be demonstrated and explained so that you feel confident encouraging these exercises with your pet at home. Exercises are essential to the rehabilitation process, as they allow for the continual building of flexibility and strength between rehabilitation sessions.